When properly executed, an April Fools' Day joke is perfect for raising a smile, a clap, and a sporting "well done" — even from the intended victim. Some pranksters are true artists as well, crafting and unwinding a stellar set-up, baiting the perfect hook, and springing the trap for a hilarious payoff. Sometimes, though, the best laid pranks of mice and men blow up in the practical joker's face — in very serious ways. These are some of the worst April Fools' backfires in recent history. In 2013, 18-year-old Tori Wheeler of Tulsa, Oklahoma, decided to set up her boyfriend, Derek Bauer, in a big way: she sprung a false visit from the stork on him. Bauer didn't find the bun in the oven hoax particularly amusing, and he reportedly got angry. Amped up from all the laughter, no doubt, Wheeler pulled a knife on Bauer and threatened him, which she later claimed was just a lark. After Bauer called the cops, things went from bad to yikes as his old lady bit him several times and slashed his throat — after all, nothing says funny like bringing a knife to a practical joke — requiring a visit to the hospital and seven stitches. The capper on this southward-bound prank was its possible inciting event: just one month earlier, the cantankerous couple was involved in a motorcycle wreck. It's entirely possible Wheeler's underdone baby bump joke may have been revenge on her boyfriend for causing the crash. We see wedding bells for these two, followed by time in the poke. Everyone's favorite massive tech conglomerate, Google, has brought scores of exciting innovations and new developments to light. Heck, even their regularly scheduled and oft-clever April Fools' Day jokes make people smile (especially the playable Pac-Man map — that was awesome). But even the mighty must drop the ball from time to time — or in this case, the mic. The web giant's 2016 springtime hoax wasn't one for the books, at least any labeled "Happy Memories." The web masters plopped a "mic drop" button in their standard email program, which, when clicked, instantly sent a popular Despicable Me animated gif to any and all recipients in the outgoing email. There were two major issues with this gag: for a start, assuming they were so inclined after getting "mic-dropped," the people on the receiving end couldn't reply to the email, or at least it seemed that way. Their replies wouldn't show up in your inbox, but they would still appear under the "all mail" tab. But the main issue with their funny button was its location right next to "send." Countless horrified people, including employees and would-be employees, accidentally shut down their friends, family, coworkers, and, more importantly, bosses or clients. At least one individual reported getting canned thanks to Google's jest. The web lords later removed the button, issuing a broad apology, but the damage was already done. For one Canadian base commander, an explosives-based prank resulted in some very unamusing consequences. 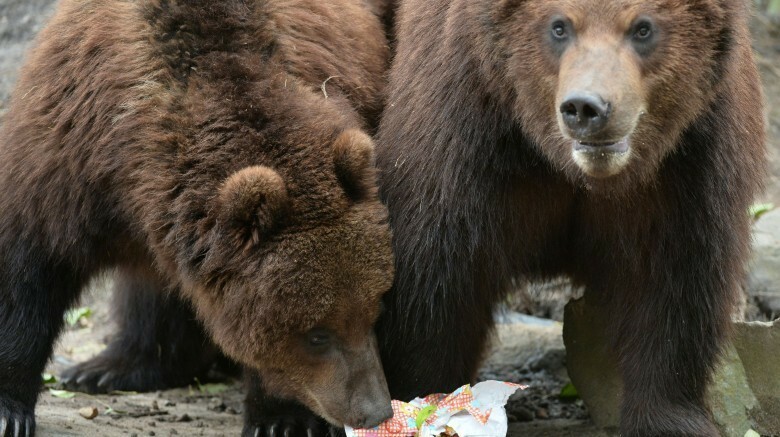 On April 1, 2000, a gathering at a Moose Jaw, Saskatchewan military base went awry when a prank involving a "bear banger" — an explosive meant to scare off bears — placed in the officer's mess caused several minor injuries. The Canadian military also wasn't amused when base commander Colonel Marc Oulette — who trained the famous NATO fight squadron known as the "Snowbirds" — tried to sweep the incident under the rug. As a result, he was later relieved of command, forced to work instead as an executive assistant to his commanding officer. After all, pranks always work best without collateral damage. 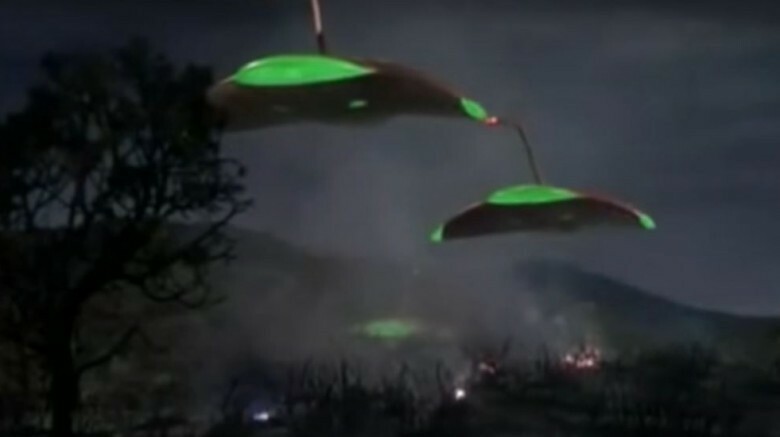 Reports of panic in the streets after Orson Welles' infamous broadcast of "War of the Worlds" by H.G. Wells may have been exaggerated, but the spirit of the pseudo-hoax lives on in the hearts of pranksters everywhere. At the same time, residents of a desert burg in Jordan got a serious taste of alien invasion jokes gone asunder. In 2010, the Jordanian newspaper Al Ghad printed a feature about a UFO landing in Jafr, Jordan, front and center. The article didn't just freak out the townsfolk, but the city's mayor, Mohammed Mleihan, as well. He scrambled security forces, scouring the town for the hostile rejects from an X-Files episode. The incident nearly resulted in a mass evacuation of the town's 13,000 residents. Under potential threat of a lawsuit by Mleihan and the civil authorities, the Al Ghad editorial staff apologized profusely, with managing editor Moussa Barhoumeh stating, "We meant to entertain, not scare people." Hey, all the kids got the day off from school — and "Because of the aliens!," to boot — so the paper wasn't entirely unsuccessful in its mission. Some things, like a banana cream pie to the face, Dave Chapelle, or people who think they look good with bronzer, are naturally amusing. Other things, such as college shootings, just aren't funny. In 2014, a South Carolina woman found out just how much of a laugh riot a fake mass murder could be. On April Fools' Day, Angela Timmons, an employee of Virginia College in Spartanburg, shot off a text to her daughter in New York, claiming there was gunfire everywhere. She also remarked that she was "hiding for her own safety." After failing to respond to any of her daughter's return texts, the young woman understandably freaked out and contacted the Spartanburg Sheriff's department. Timmons jape brought the police to her office, and she was forced to explain it as joke in bad taste. The woman later admitted that she's "done such jokes on April Fools' in the past." The cops certainly weren't laughing and hauled her off to the county jail for "breach of the peace and disturbing a school." Maybe next time she'll stick to whoopee cushions under Dean's chairs and fake vomit by the drinking fountain. 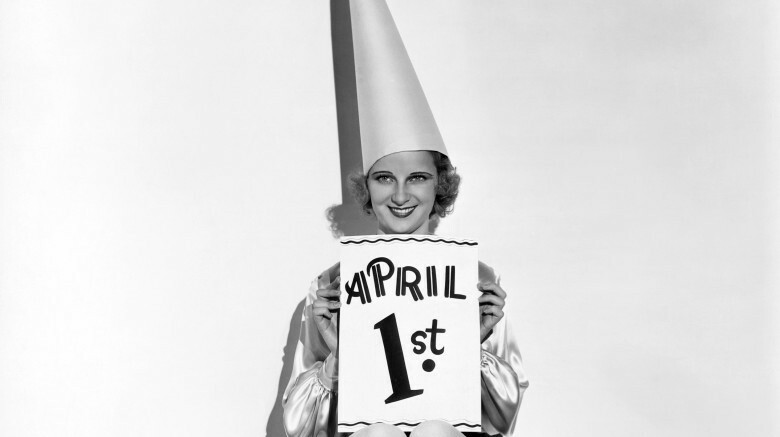 April 1 is a cause for celebration for pranksters everywhere, and has been for a very long time. The unsuspecting, gullible, and blissfully unaware often find themselves subject to garlic-flavored chewing gum, black-eye telescopes, mint toothpaste-flavored Oreos, and, of course, this old favorite: announcing a political leader was nearly assassinated. Yep, that really happened. Back in 1986, an unspecified Israeli intelligence officer pulled a fast one on both the minister of defense (future Prime Minister Yitzhak Rabin) and the Israeli state radio station. 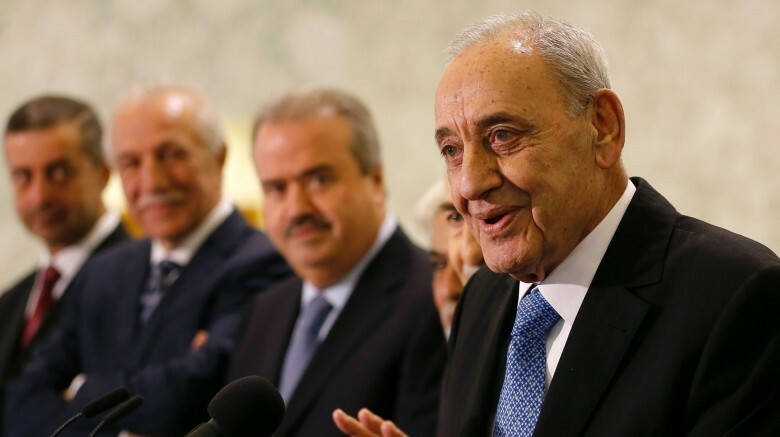 The false report slid through the cracks of the defense department, alleging an attempt on Lebanese Muslim leader Nabih Berri's life. The false account also made its way to several other news outlets before the radio station debunked the hoax. Naturally, Berri (pictured above, alive and well) and others in the Lebanese media condemned the "joke." Thankfully, the prank was diffused before it could further escalate any tensions in the already volatile region. Back in 1980, Boston TV news producer Homer Cilley wanted to have a blast on April Fools' Day — so he faked one. 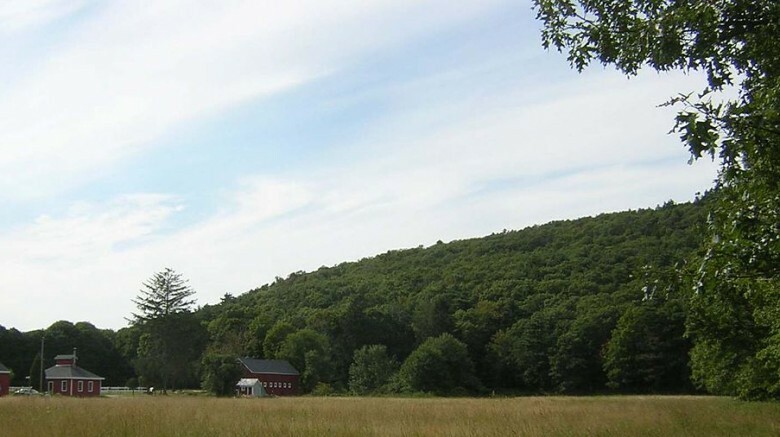 As viewers tuned in to WNAC-TV's daily broadcast, they caught a disturbing news blurb about Great Blue Hill, located in the Beantown suburb of Milton. According to the bulletin, the once sedate mound was oozing lava, spewing flames, and could pop off at any moment. The nutty producer even upped the ante by including real footage from Mt. St. Helens eruptions even and dubbing in warnings from then-president Jimmy Carter. Despite Cilley including a card that read "April Fool" at the end of the segment, hundreds of panicked citizens flooded local law enforcement phone lines. In the aftermath of the panic, the station canned Cilley, thanks to his "failure to exercise good news judgment" — and for not adhering to those pesky Federal Communications Commission regulations. As part of their April 1 broadcast in 2013, Florida DJs Val St. John and Scott Fish got into some chemically clever hijinks. The shock jocks opened the spigot on a story involving a local outbreak of dihydrogen monoxide oozing out of area faucets. Dihydrogen monoxide, aka H20, is, of course, just plain tap water. Elementally disinclined viewers, on the other hand, found the prospect of a noxious substances seeping into their sinks less-than-palatable. The mass freak out forced the Lee County utility department to crank out statements calming the locals' terror about tap-based yuckiness. Radio station WWGR also released a statement to allay fears and reduce the damage done. In the long run, the DJs watered-down joke got them yanked from the air for a couple of days and nearly washed them away with felony charges. The true measure of a good prank is its payoff: a satisfying knee-slapper that ends with smiles all around, no hard feelings, and a pair of blue uniforms slapping the cuffs on the merrymaker. Wait, scratch that last part. Kingsport, Tennessee, resident Susan Tammy Hudson found herself in a bad way after her morbid April Fools' joke came across as a little too convincing. In 2013, she tried to pull one over on her sister, telling her: "I shot my husband, I'm cleaning up the mess, let's go bury him in Blackwater." Either Hudson's life wasn't exactly marital bliss, or her relatives were born the day after yesterday, because news spread through family like wildfire. One relative apparently took her joke very seriously, and before long, Susan got a visit from Tennessee's finest. Fortunately for her sake, the end result was nothing more than a little time in a squad car. No charges were pressed after her husband arrived home in un-murdered form. From this point on, though, we suggest a lighter form of humor for Ms. Hudson, at least when pranking her more-naïve kinfolk. As she told one news outlet, at least local PD were no slouches, as their "response was excellent." On April 1, 2015, a resident of a campus apartment complex near Grand Valley State University in Allendale Township, Michigan, played a little prank to empty his roommate's bowels: dropping a firecracker into their laundry hamper. Thanks to a bizarre fire code rule exempting townhouses from requiring fire extinguishers, the smoldering hamper rapidly choked out the entire complex, filling the neighboring apartments with noxious smoke. Thankfully, all the residents managed to flee, and the fire department arrived before the botched prank burned the whole place down. For future reference: sparks plus linens equals fire. Geez, what are they teaching kids in college these days? Also, maybe update that fire code? Children are our future, even if they're chucking M-80s at each other.